When confronted with a decision-making situation, more than often we look to others to guide our own behaviour. We look for social proof, a psychological phenomenon that tells us people conform to the actions of others. We are deciding on something, often unconscious, based on what others are doing, as we are driven by our natural desire to behave in “the right way”. In his book Influence: The Psychology of Persuasion social psychologist Robert Cialdini discusses social proof among other 5 principles of influencing people's behaviour. His studies demonstrate the power of social proof. For instance, he tested the difference in several social proof messages to influence the reuse of towels in hotel rooms. The message “Almost 75% of other guests help by using their towels more than once” had 25% better results than all other messages. But adding “of other guests that stayed in this room” had even more impact. Another example of social proof is the huge line in front of the Apple store when a new product is released. If we see many people invested in buying this product, our perception of it's value increases. Also when we talk about social proof we have to think about to the feeling of belonging. Another study by Prof. Gregory Walton showed that people are more motivated and engaged to finish a task if they know they share with another person even a simple characteristic (as their birthday). Create a mini “persona”of your client; people reading the review will trust a review written by a similar person as them. Ratings from similar people are more powerful than those from “experts” or from the website itself in influencing behaviour. Read also this TechCrunch article to find out when and how to use different types of social proof audiences. 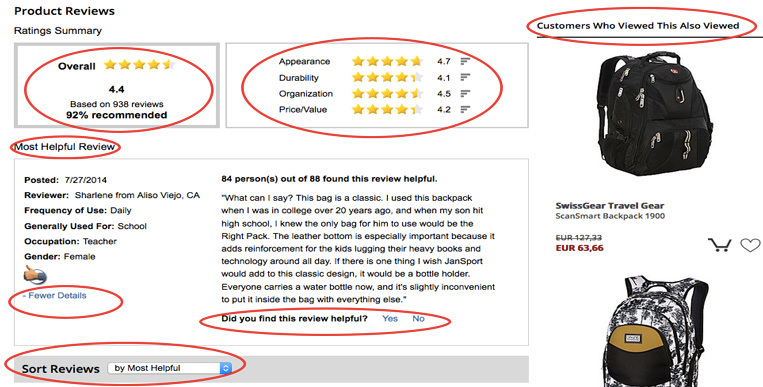 Ebags uses social proof in a very comprehensive way. We can see here many beneficial tips, like overall ratings, “most helpful review”, details of the person who left the review (with the option to see more or fewer details), the option to sort reviews, the possibility to take action yourself with “Did you find this review helpful?”. Also they are using other social proof tactics like “customers ..also viewed”. These tricks among others like “most wanted”, “most popular” are powerful converters because they are showing you what others are doing in real time, thus appealing to your social sense of belonging. Do not hide negative reviews. Zappos provide a nice example of this. The problem with displaying only “5 star” positive reviews is that people might think it's too good to be true. Include a smiling image of a customer, as research about increasing “truthiness” indicates that pictures increase trust among participants. See the example below from HubSpot. Include a story about the product or service. This appeals directly to our emotional brain, giving us a glimpse into the person's mind and expectations. Kissmetric is doing a great job here, combining a testimonial, plus a picture, plus the story. Displaying the number of clients or statistics that show the engagement with your product is always a good way to go. 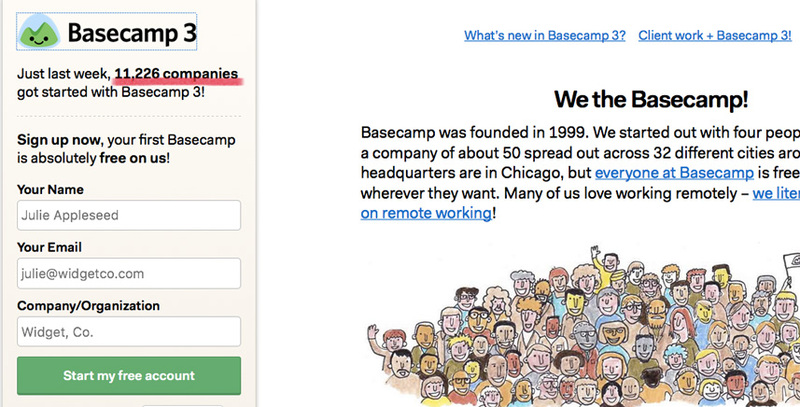 More than 11.000 companies which use Basecamp might convince you to sign up. Or take a look at Mixpanel showcasing the number of users. Number of: purchases, subscribers, views, comments. 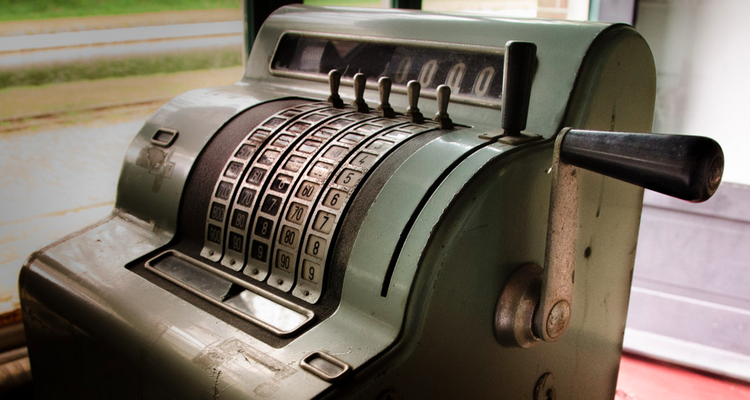 More: Take a look at Shopify's great article for more tricks and "how to's" or Optinmonster's article on ways to use social proof to increase conversions. Building an audience for your business takes time (especially if you at the beginning), but do use these tactics when possible. Never lie: no proof is better than false one. Make social proof obvious. Don't hide your testimonials deep in your pages. Place them on your home page, ratings near your product, social media shares near articles or on the home page. Think where they would bring more benefit and why. Don't use negative social proof (like for example “4 years ago, over 22 million single women did not vote.”). A Kissmetric article indicates this does more harm than good, and might increase the behaviour you want to reduce in the first place. If possible, couple the social proof with a call-to-action button. In that way the users after seeing how "popular" or used your product is, will be more inclined to take action (as our Basecamp example above). Don't cram every tactic together. Choose the one most appropriate to your business. If you have a lot of information to show, use progressive disclosure - example: put buttons that give the user the option to see more or less information, like in our Ebags example. In summary, social proof is a fantastic way to boost your sales, adoption and increase your user base. As you can see, many companies are using it and you should too.